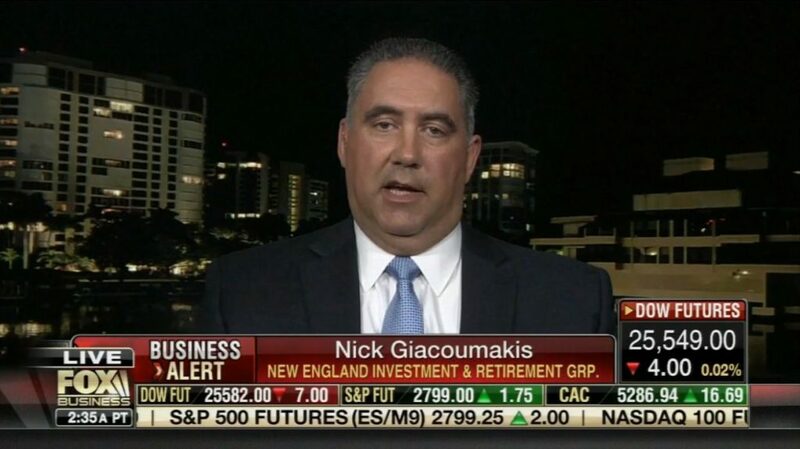 Last week, our President and Founder Nick Giacoumakis was featured on FBN:AM providing insight into how ongoing trade negotiations are impacting investor confidence, and how other factors are driving the recent market rally. During the appearance, Nick joined Fox Business host Cheryl Casone to discuss the ongoing trade negotiations between the U.S. and China, touching on how recent issues such as Huawei’s litigation with the U.S. government challenges the two countries’ ability to reach a deal. According to Nick, the longer the trade talks drag on, the more investor confidence will continue to erode. Nick also weighed in on the recent rally following the market selloff in December. Launching into the new year, the Fed took a more ‘dovish’ stance, resulting in the 9-10-week rally. Adding that the market has been oversold to date, Nick anticipates the S&P 500 will continue to struggle to hold or break through the technical resistance level of 2,800 points. For more of Nick’s thoughts on trade tensions and market activity, watch the full interview here, using the password: 6xn6TKn.